It's hard to believe that I've been running this series for three months. What began as a whim to see if I could find mysteries to fit all the different celebrations you can find on the calendar has turned out to be quite a learning experience. Yes, I have shared some of my favorite books, but I've learned about many new-to-me ones as I've asked others for recommendations. 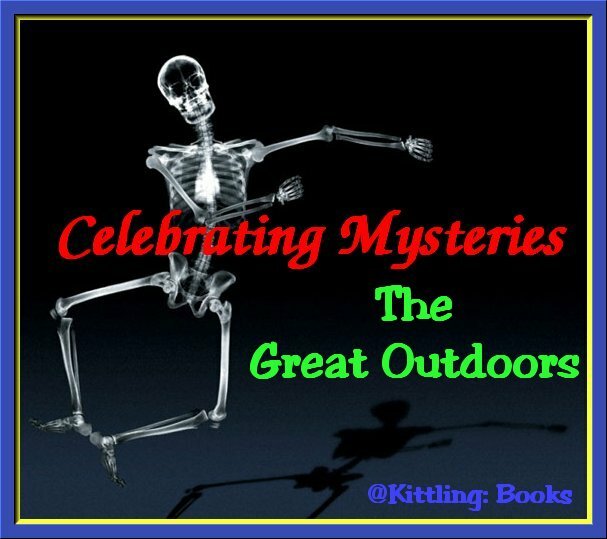 This week begins a month-long celebration of the great outdoors, and all the sleuths I'll be talking about have one thing in common: they do most of their work out in the fresh air and sunshine. (That is... if they're lucky the sun is shining!) First up will be four sleuths who make their livings by knowing all about bones and cultures. Archaeology and anthropology are popular fields for characters in the mystery genre; there are far too many to talk about. I'll give a tip o' the hat to writers like Elizabeth Peters and Kathy Reichs who have helped to make these fields so popular, but there are four others upon whom I'd like to shine my spotlight. 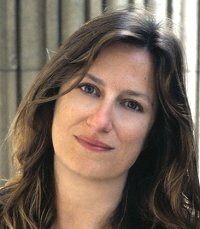 Rebecca Cramer is a visiting scholar in the Department of Anthropology at the University of Arizona in Tucson. 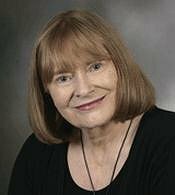 She's written three books in the Bluenight mystery series featuring Linda Bluenight, an anthropologist and fourth-grade teacher in the Tucson area. 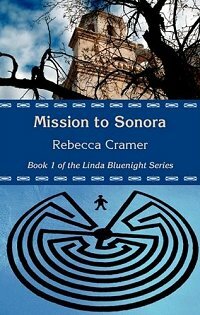 The books in the series are: Mission to Sonora (1998), The View from Frog Mountain (2000), and High Stakes at San Xavier (2008). When Linda Bluenight's teenage son, Matty, stumbles across a corpse while hiking in Ventana Canyon, her past experience in forensic anthropology catches up with her. The short-handed Tucson PD asks for her help with the autopsy, and her findings lead her to believe the Tohono O'odham boy arrested for the crime is not guilty. As she investigates a lengthy list of suspects, Linda and her son both become targets for an unknown adversary bent on scaring her off the scent and back to the day job she loves - teaching children at the San Xavier del Bac Mission school. But Linda and Matty are not so easily put off, and when Linda begins to get close to the truth, she finds herself in more danger than she anticipated. Mary Anna Evans may have degrees in physics and engineering, but her heart is in the past. 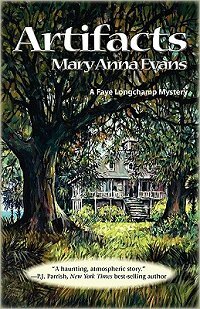 I always learn something about history and archaeology when I read one of her books, and her character, Faye Longchamp, is one whom I enjoy following. The Faye Longchamp series currently consists of six books: Artifacts (2003), Relics (2005), Effigies (2007), Findings (2008), Floodgates (2009), and Strangers (2010). Faye Longchamp is an archaeology student trying to hang on to her ancestral home on North Florida's Gulf Coast. When the property taxes on the dilapidated mansion--inherited from her great-great-grandmother, Cally, a freed slave--become too high, Faye decides to put her knowledge to work by digging up some artifacts to sell on the black market. What she finds, however, isn't arrowheads; it's a body, and judging by the head wound and the Jackie Kennedy-style earrings, it's been in the ground for several decades, and foul play put it there. If Faye reports her find, she will reveal her illegal activities and risk losing everything. To save herself and her home, Faye decides to learn more about the body in the ground. First-novelist Evans introduces a strong female sleuth in this extremely promising debut, and she makes excellent use of her archaeological subject matter, weaving past and present together in a multilayered, compelling plot. Let's hope Faye Longchamps' home-restoration project is one of those remodeling jobs that never ends. 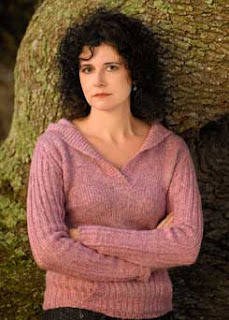 Award-winning writer Barbara Cleverly of Cambridge, England, may be more familiar to historical mystery fans from her series featuring Commander Joe Sandilands, a Scotland Yard detective assigned to post- World War I India; however, it is her series with archeologist Leatitia Talbot in post- World War I France that I can't wait to read. The Talbot series contains three books so far: The Tomb of Zeus (2007), Bright Hair About the Bone (2008), and A Darker God (2010). Dagger Award–winner Cleverly takes a break from her acclaimed Joe Sandilands series to launch another 1920s series, this time with an amateur sleuth protagonist. 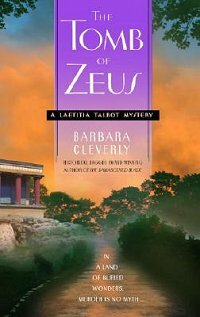 Laetitia "Letty" Talbot, a neophyte archeologist, turns detective while visiting Theodore Russell, an authority on Crete's history who's determined to find the tomb of the Greek god Zeus on the island. Letty dislikes Theodore but befriends his frail wife, Phoebe. Soon after, Phoebe hangs herself, an act so out of character that Letty joins forces with the local inspector to probe deeper. When the autopsy reveals that Phoebe was pregnant and Theodore could not have been the father, Letty finds a range of potential suspects in the potential fathers-to-be. A witness to the crime eventually turns up to solve the case, making this less of a puzzler than the Sandilands books, but the crisp writing and depth of characterization should please traditional mystery fans. 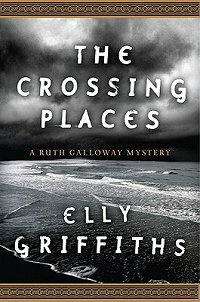 Elly Griffiths has created one of my favorite characters, forensic archeologist Ruth Galloway. Ruth lives in the Saltmarsh area of Norfolk, England, and finds herself helping Detective Chief Inspector Harry Nelson solve crimes when the crimes involve bones. This new series currently has three books: The Crossing Places (2009), The Janus Stone (2010), and The House at Sea's End (now available in the UK). When she's not digging up bones or other ancient objects, quirky, tart-tongued archaeologist Ruth Galloway lives happily alone in a remote area called Saltmarsh near Norfolk, land that was sacred to its Iron Age inhabitants--not quite earth, not quite sea. When a child's bones are found on a desolate beach nearby, Detective Chief Inspector Harry Nelson calls Galloway for help. Nelson thinks he has found the remains of Lucy Downey, a little girl who went missing ten years ago. Since her disappearance he has been receiving bizarre letters about her, letters with references to ritual and sacrifice. The bones actually turn out to be two thousand years old, but Ruth is soon drawn into the Lucy Downey case and into the mind of the letter writer, who seems to have both archaeological knowledge and eerie psychic powers. Then another child goes missing and the hunt is on to find her. As the letter writer moves closer and the windswept Norfolk landscape exerts its power, Ruth finds herself in completely new territory--and in serious danger. Archaeologists and anthropologists have to piece together small clues just as detectives do, and perhaps that's why they make such excellent main characters for mysteries. The four writers and their characters whom I featured in this article are just a drop in the bucket. There are many more with the same focus. I know I could have named at least twice as many as I did, and I hope that you'll share some of your favorites with me in the comments section. Next weekend Celebrating Mysteries will continue with a look at some crime-solving athletes. Come join me! When I was graduate student in an anthropology department, mysteries featuring anthropologists, archaeologists, and forensics were very popular among my colleagues. I still like them. I love these kinds of mysteries as well! I've only read Cleverly's Joe Sandilands' series but have this on my wishlist. And I've been meaning to read Elly Griffiths for ages. Lovely post and dangerous for my wishlist! 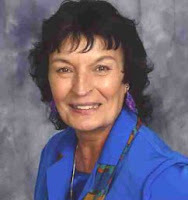 Beth-- Mysteries within mysteries. I think that's why I enjoy them so much. Sakura-- I aim to be dangerous to everyone's wishlists, so I'm glad I succeeded!